October 19, 2018 Patsri Chuepool, M.D. Only 5-10% of breast cancer cases are due to genetic factors, while the remaining 90% of cases can be attributed to a person’s unique environmental and lifestyle aspects. 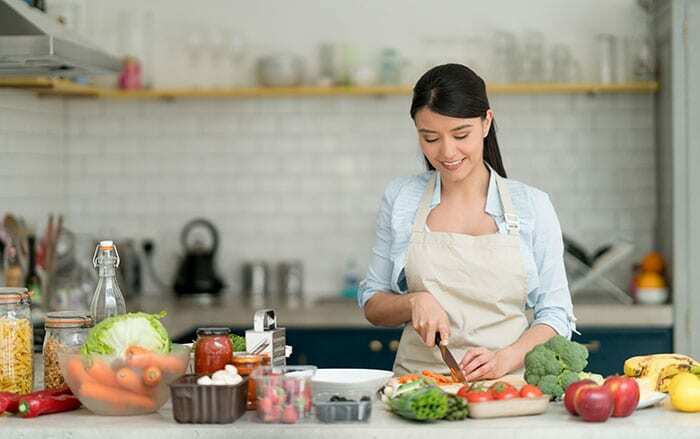 Vegetables and fruits are currently considered the most effective anti-cancer foods available, meaning that great care should be taken to ensure cleanliness and an absence of contamination when purchasing these products. Otherwise, those foods could become a cause of cancer instead of being an enemy to the disease. A healthy diet is just one method of breast cancer prevention. Women with a family history of the disease, or women of a certain age, should attend annual breast cancer screening appointments to prevent the disease developing in the future. Most women have become a lot more aware of the importance of personal health care in recent times. This includes taking the time to choose a healthy, balanced diet, in conjunction with regular exercise. Greater awareness of certain risks is often what inspires these behavioral changes. Quite simply put, nobody enjoys being ill, especially when that illness takes the form of breast cancer, one of the most common forms of cancer, and one that strikes fear into the hearts of anyone who hears of it. This form of cancer is just one of the reasons behind the current healthcare trend that people are turning to in ever-increasing numbers. In addition to attending annual health check-ups, this also incorporates managing all the food we eat on a daily basis. Cruciferous vegetables include broccoli and cauliflower, with this group being full of indole-3-carbinols and sulforaphanes that help the body to excrete bad estrogen metabolites through liver, which help to reduce risk of breast cancer. Studies have found that these two nutrients can also halt the growth of prostate cancer cells. While the preferred method of preparation is to blanch the vegetables in boiling water for 2-3 minutes, alternatively, their young stalks can be eaten raw as this is when they contain the highest levels of nutrients. 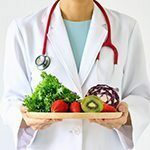 There are also nutritional supplements available for people who do not have time to prepare healthy meals but would still like to care for their health in a simple and effective manner. Mushrooms are the miracle of nature, straight from the spectacular universe of fungi, which is itself an outstanding creation of the natural world. Despite the fact that some fungi are poisonous, many more types of mushrooms can be of benefit to our health. Their wide-ranging properties include strengthening the immune system, protecting against free radicals, repairing cells and preventing cancer. Research carried out by the International Journal of Cancer concluded that 10 grams of mushrooms per day can be of great benefit to our health. The types of mushroom most equipped to prevent against cancer and therefore the same ones best suited for vitamin extraction, include ganoderma reishi, shiitake, cordyceps, Coriolis versicolor, chaga and maitake mushrooms. Studies have found that getting at least 10 grams of natural fiber per day can reduce the risk of breast cancer by 7% as natural fibers can reduce the potency of the body’s estrogen hormones, which have the potential to damage health. Foods which are high in natural fibers but low in calories include nuts and beans, such as white kidney beans, peanuts, black beans, kidney beans, pecan nuts, almonds and pistachio nuts. Aside from a healthy, balanced diet and regular exercise, annual health check-ups to assess the state of our aging bodies are of great importance to our long-term health. This is because, while environmental factors play a part in stimulating the onset of the disease, cancer can be genetic, just as some of us may have witnessed a person who takes good care of their health still going on to develop cancer. Therefore, caring for our health should go hand in hand with regular visits to the doctor for general health assessments so that any warning signs can be observed and the disease identified in its early stages so that treatment can be most effective. 6 Anti-Cancer Foods Women Should Not Miss Out On Only 5-10% of breast cancer cases are due to genetic factors, while the remaining 90% of cases can be attributed to a person’s unique environmental and lifestyle aspects.